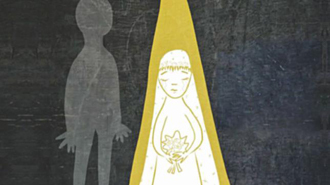 May 19 2017 - Child marriage – despite the caveat in the new amendment of the law – remains illegal in the country. Last Friday, as eight under-age girls were about to be married off in Dinajpur, locals informed the local administration. But no action was taken by the UNO. In Narayanganj, an underage girl was married off on Sunday, but despite locals protesting, the upazila administration refused to intervene. A report by this paper yesterday cited more similar cases. We know that the Act makes it mandatory for local administration to take action to stop child marriage. Section 4 of the Child Marriage Restraint Act, 2017 states that it is the duty of the UNO and other local government officials to prevent child marriages. Yet, with the most bizarre farce of an excuse, officials are now saying that they cannot take any action despite being informed of them, because the court has declared mobile courts illegal. It is clear that either the UNOs are using this as an excuse to not act, lamenting the loss of judicial powers that mobile courts gave them, or they are simply ignorant of the difference between administrative and judicial functions. Stopping the marriage in question is an administrative function. Sentences and punishment are the domain of the judiciary. There is no logic to their claim: preventing a crime from taking place using the power vested in their office by the law does not require judicial power. We cannot but wonder if these local government officials are allowing child marriages knowingly as leverage to demand reinstatement of mobile courts. We must urge that top level administration not only clarify the situation but also investigate why these officials refused to comply with the law and prevent the child marriages.